One thing I didn’t expect during my visit to Jacksonville, Florida is its growing food scene with 15 chefs on the Best Chefs America list! And, unlike other cities where the food scene is concentrated in one area, Jacksonville’s food scene flourishes across its neighborhoods. In fact, they were in 5 Surprising Foodie Cities To Visit Right Now by Forbes Travel Guide. Count me in as surprised! I always enjoy food tripping my way around a city, and this was especially the case for the “River City by the Sea”. Fun Fact: There was one day that I visited 8 different spots across 3 neighborhoods for food and drinks! That’s how a Travelling Foodie rolls! Needless to say, you definitely need to spend more than a day in Jacksonville especially if you want to eat your way around the city. Did you know? 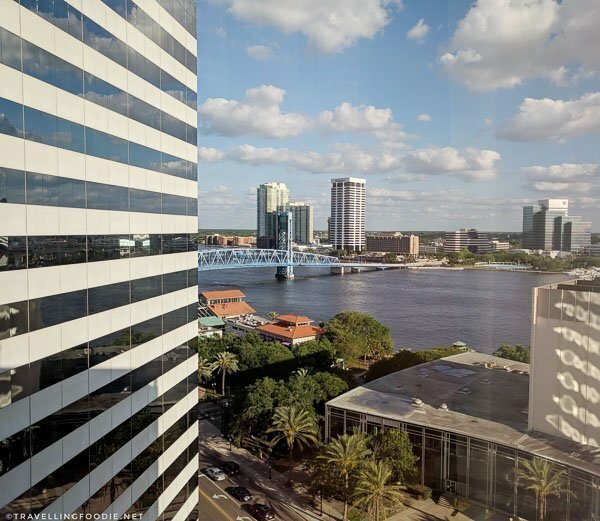 In the core of downtown Jacksonville alone, there are more than 50 restaurants already. So, where to eat in Jacksonville? 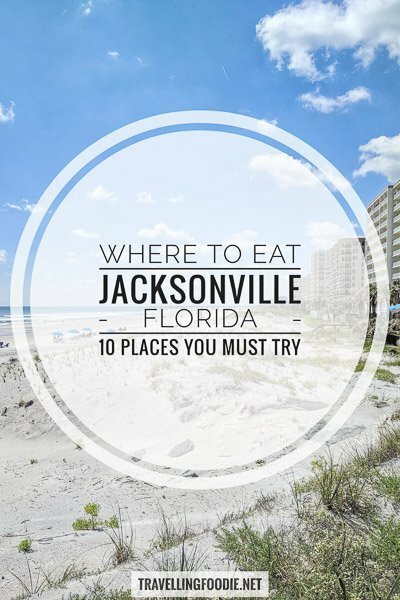 Though I just scratched the surface of the Jax food scene, I can definitely tell you 10 restaurants you must try based on my experience, including some of the best restaurants in Jacksonville! Ask people for Jacksonville’s best restaurants, you’ll most likely hear Orsay as you would from me. Owner and local Chef Jonathan Insetta has hit a home run with this French bistro serving Southern influences in Avondale neighborhood. Though it’s a fine dining restaurant, the atmosphere is actually warm and casual. You’ll definitely want to make reservations here. I went on a Wednesday night and they were packed, so imagine what it would like for Fridays and weekends. Fun Fact: Chef Brian Whittington was the Executive Chef at Orsay before opening St. Augustine’s Preserved Restaurant. One of the must-order here is the Scallop Crudo. The individual fresh truffle on top with the olive oil creates a better tasting truffle oil that compliments the bittersweet taste of tarragon and saltiness from the sea salt. The radish adds a nice crunch to the otherwise chewy creamy texture of the scallop. The gin and tonic simply helped cleanse the palate to taste the freshness of the scallop better. Travelling Foodie Tip: Orsay has Cocktail Hour from 4-7PM offering select cocktails, wines and beer at cheaper prices, including the Gin & Tonic. 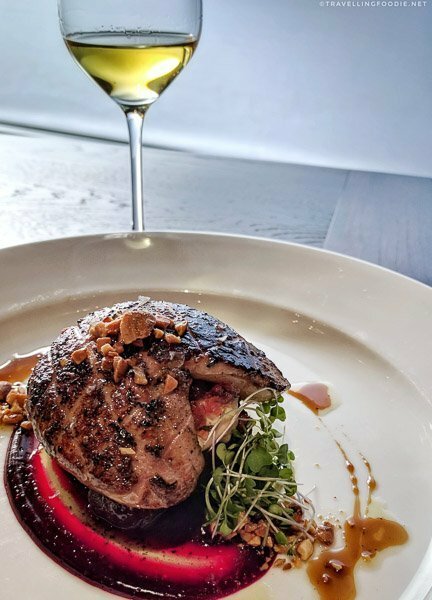 Another dish that left my mouth watering was the Hudson Valley Foie Gras, which was a huge slab of succulent duck liver. I love that they put the foie gras on top of the crispy custard bread which made the bread soak up the flavours. The very first time I had sweetbreads, I enjoyed it a lot. And, it’s the same case for my second time here at Orsay. 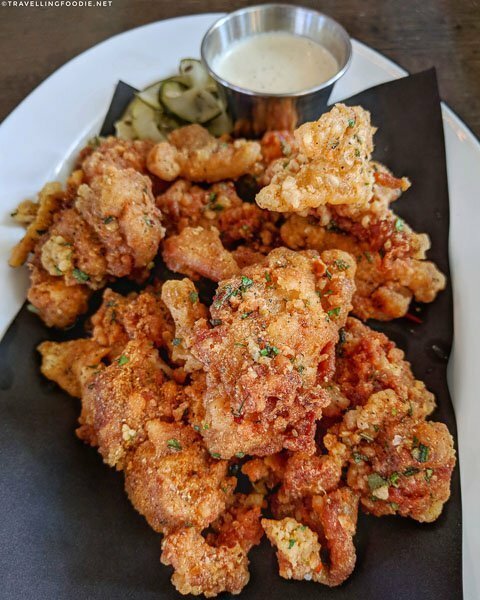 Bringing its Southern influence, the sweetbreads were done chicken fried style which will make even the less adventurous eaters (sweetbreads are offals) want to try it. Enjoy it with the Tempranillo wine from Spain which can handle bold flavours and spices coming from Southern chicken-fried food. If you’re a Ferrero Rocher lover like me, you’ll want to get the Orsay truffle which is their version of it! I don’t mind having this every day! 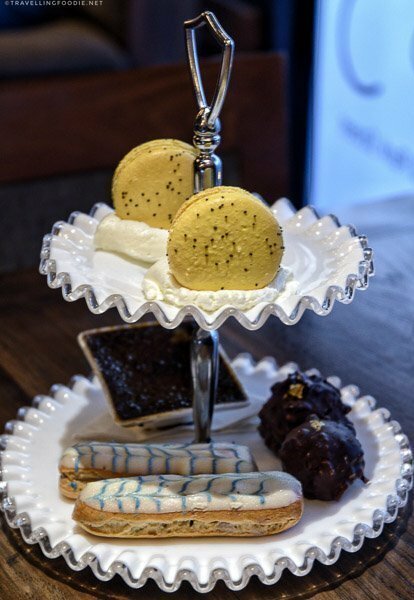 Their selection of macaron changes daily as well so be sure to ask about them! The lemon poppy seed was actually really good and tasted very natural. 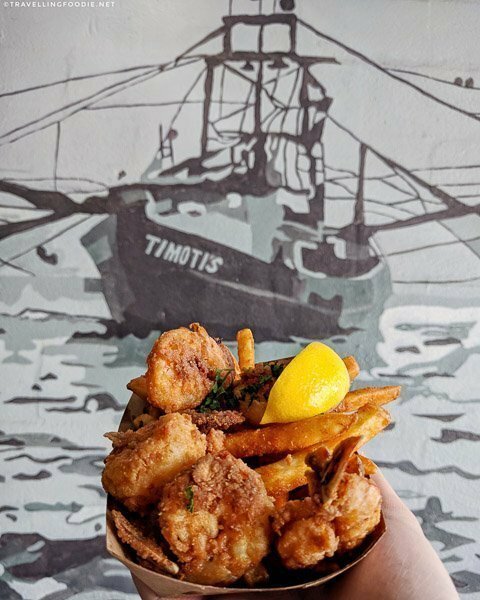 Located at the popular historic 5 Points district, Timoti’s Seafood Shak serves fresh wild-caught local seafood with a combination of traditional and Southern style cooking. Did you know? Wild-caught seafood means that the seafood were caught in natural habitats by fishermen as opposed to tanks and enclosures for farm-raised seafood. Travelling Foodie Tip: If you don’t want to eat too much fried food, or simply cannot finish a big basket, opt for the Kids basket. I had to do this since this was the day I ate at 8 places. The shrimp basket came with nicely battered shrimps which were plump, meaty and sweet. I really loved the batter because it was hard enough that it’s intact and not falling off the shrimp, but not hard enough that it’s just perfectly crispy. It was also quite savoury without overpowering the shrimp. Launched in 2007 in Jacksonville, Bold Bean Coffee Roasters serves hand-crafted coffee roasted on-site in a small-batch artisanal approach. Did you know? In his decision to start Bold Bean Coffee after a 30-year career in journalism, founder Jay Burnett said “Sometimes you just have to stop and smell the coffee”. This location in Riverside is their first cafe, and it also offers craft beer, wines, and food. You can see the roastery here since it is only separated by a glass window from the cafe. They source from various coffee producers from Brazil, El Salvador and Guatemala and roast them locally on-site ensuring the freshness of the coffee. Though I list this under Riverside since it’s the location I visited, they also have locations in San Marco and The Beaches. 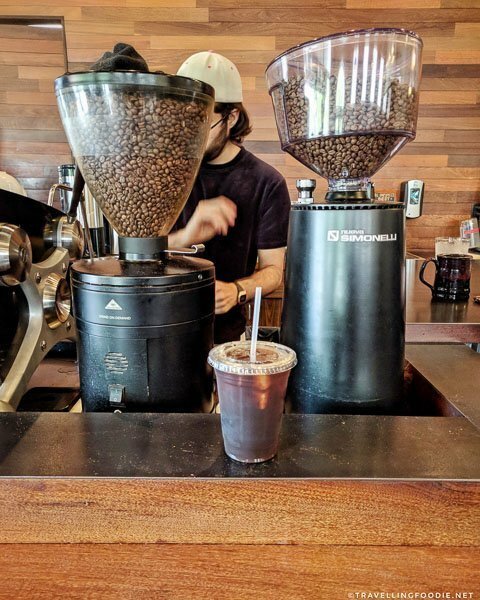 Ask locals and they’ll agree that Bold Bean Coffee is one of the best for coffee in the Jacksonville. In fact, they were listed in BuzzFeed’s 24 U.S. Coffee Shops To Visit Before You Die. 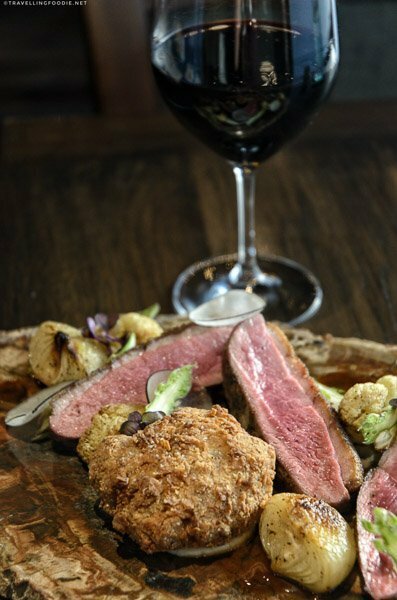 Located at the Omni Jacksonville Hotel, Juliette’s Bistro serves American food with Southern cuisine fusion. I came here for breakfast since I stayed at the hotel, and tried their breakfast ala carte. They also serve the traditional breakfast buffet called Art of Breakfast for $21. You can also enjoy your breakfast in the hotel room with views of St. Johns River. Breakfast for room service comes from Juliette’s Bistro. For brunch lovers, you might want to check out their Sunday Brunch. For $28, you get bottomless mimosas on top of a wide selection of food including their Art of Breakfast Buffet (which is usually $21 already), seafood station with crab legs and shrimps, prime rib carving station, salad station and dessert station. The executive chef makes seasonal changes to the menu. I got to try the Avocado Toast which isn’t on the menu yet that time. Unlike typical avocado toasts where the toast is pre-decorated for you with avocado slices, this one had all the ingredients separated so you can prepare them to your liking. 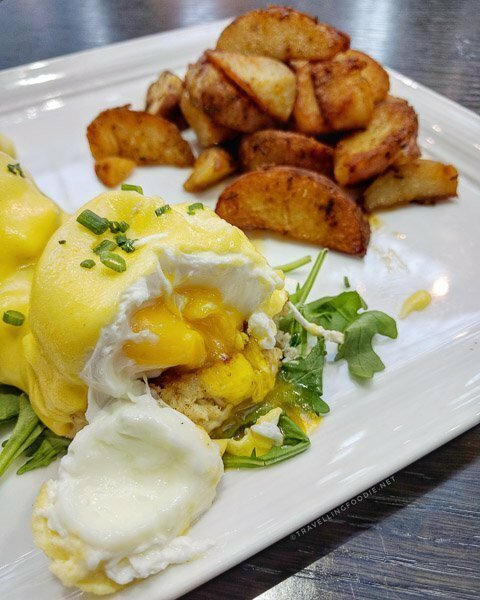 I highly recommend getting the Crab Cake Benny which comes with big lumps of crab cake filled with real crab without fillers. The tabasco hollandaise was quite unique adding some kick without being really spicy. I’m not big on brunch food normally, but I can definitely get into brunch mode for this. Located in the historic 1903 Seminole Club which used to be a gentlemen’s social club, The Candy Apple Cafe & Cocktails is aptly named as it shares the same space as “The Sweetest Destination on Earth”, Sweet Pete’s Candy. Don’t let the name and whimsical atmosphere fool you though! This French-inspired Southern restaurant is as much for adults as it is for children, with a mixology bar serving craft cocktails to make sure that every hour is a happy one for adults. They even have candy-inspired cocktails that will make your kids wish they’re 21 like the Pop Rockadopolis which has the famous pop rocks! Travelling Foodie Tip: Candy Apple Cafe has Happy Hour from 3-6PM on Tuesday to Friday with cocktails, beers, wines and food with some items going half prices or even less! 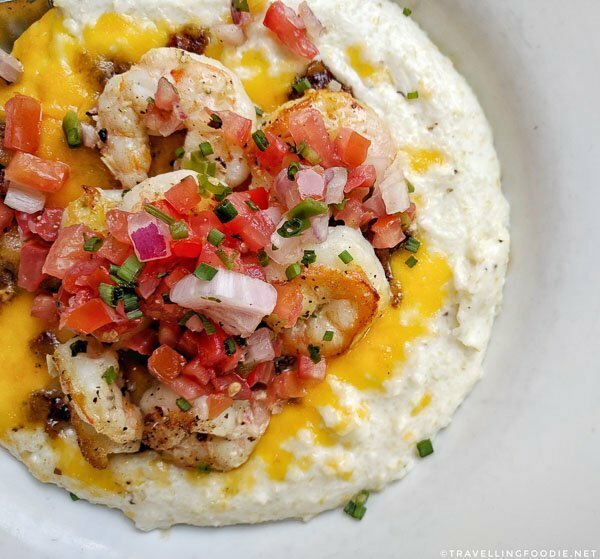 One of their popular dishes is the Mayport Shrimp & Grits since it’s a combination of the popular Southern staple plus Jacksonville’s popular Mayport shrimps! Being French-inspired, the must-order here is the Sauteed Escargots as this isn’t your typical butter garlic version. The escargots are on a crispy and flaky goat cheese vol-au-vent, a small hollow puff pastry case, with wild mushroom sherry sauce, dollops of pesto sauce and a moat of olive oil. I never had this kind of escargot but combination of flavours was bursting on this one! I also like the contrast of the flaky pastry with the chewy escargot. The chargrilled angus burger is a big burger. It was very juicy and had a strong chargrilled taste which I enjoyed. I wish they didn’t put any salt as I felt it was unnecessary since the beef was so good already. If you have room for desserts following the meal or the sweets at Sweet Pete’s Candy Shop, I recommend this Banana Trifle Brulee. 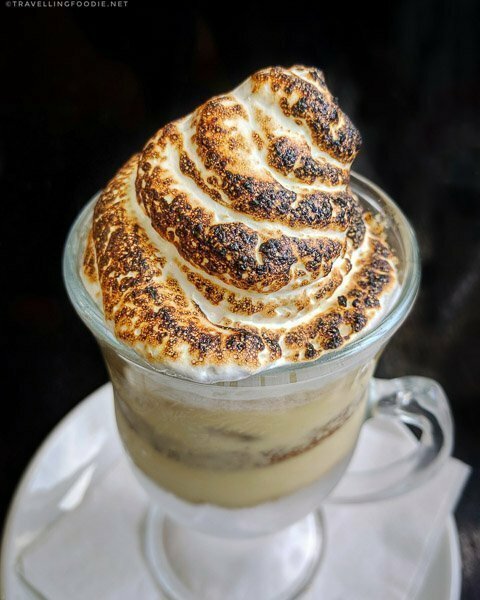 This gourmet banana pudding comes with layers of vanilla custard with a good contrast of moist banana bread and crispy wafers topped with housemade toasted marshmallow. 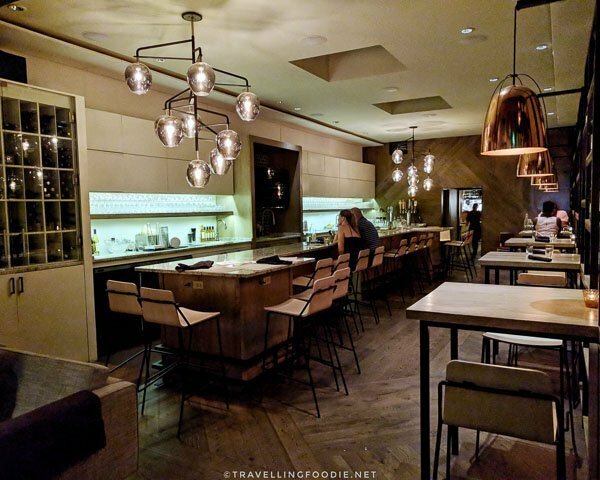 Little sister to the popular Moxie Kitchen + Cocktails, Town Hall is the latest venture for two-time James Beard nominee Owner and Chef Tom Gray which opened in Spring 2017 in San Marco Square. 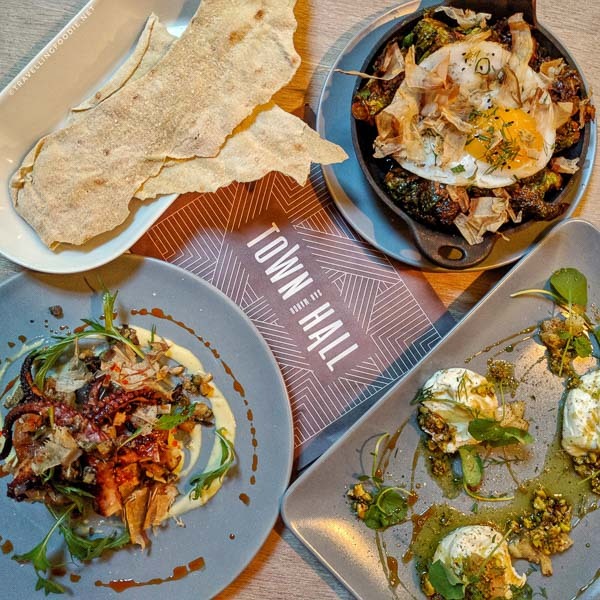 With the goal of being the community gathering spot, Town Hall aims to bring California-inspired American cuisine with a comfortable west coast vibe. The atmosphere is very intimate and fine dining, but feels very welcoming and friendly kind of like being in someone’s house for a dinner party. As you enter, you start with the lounge with sofas and the bar area. Make your way further down the walkway, you’ll find the dining room with a view of the open kitchen. One thing to note is that, though they don’t serve liquor, but they do serve beer, wine cocktails and an extensive wine selection that changes often. 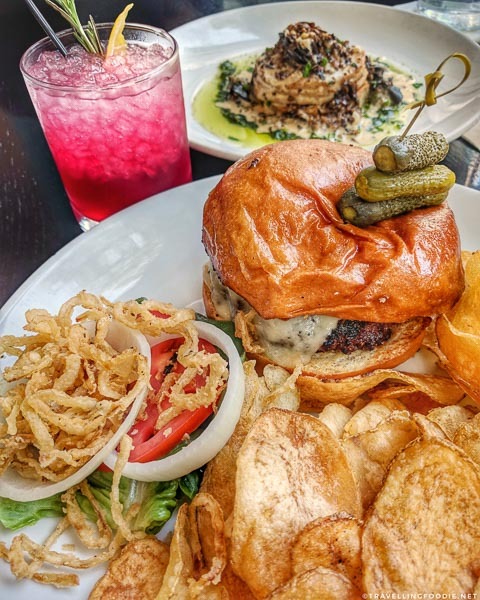 Travelling Foodie Tip: Town Hall has Happy Hour daily from 4:30-6PM offering $6 wines and wine cocktails, $5 beers and $5 bar bites. 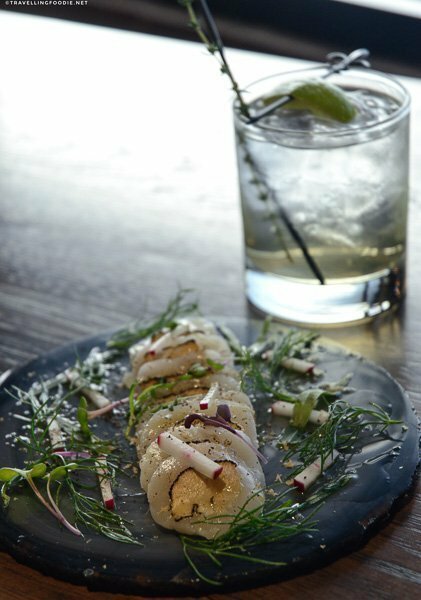 Their popular appetizers include Crispy Brussels Sprouts, Seared Octopus and Housemade Ricotta. You must try their Seared Octopus which is very tender, not chewy, and nicely seared with a hint of char taste. 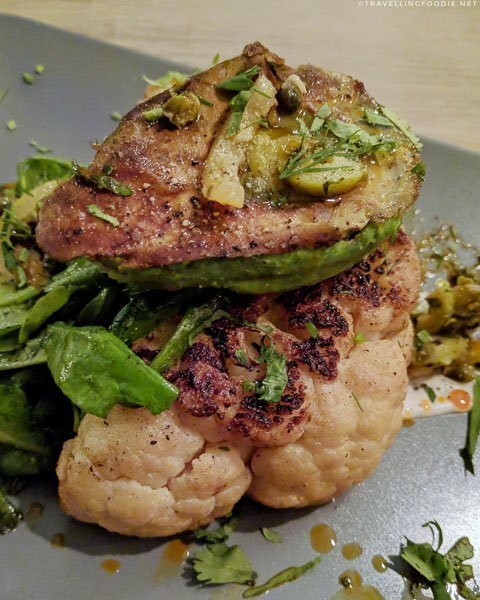 For vegans and vegetarians, their cauliflower steak is quite popular and filling with a big slab of roasted cauliflower topped with half charred avocado. 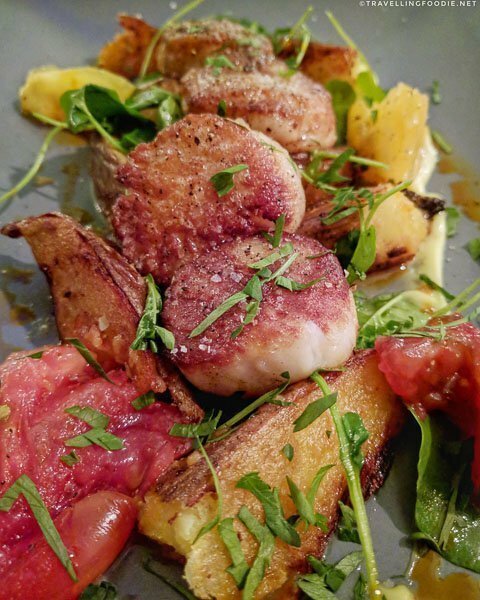 One of their popular mains is the Seared Scallops which are fresh and nicely seared. I found it would’ve been so much better with less salt. 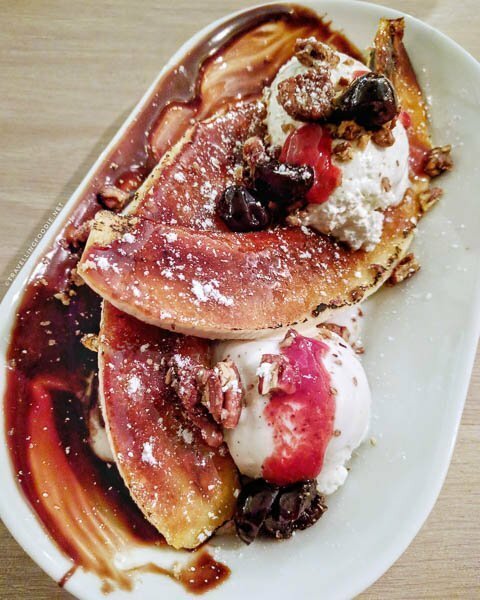 To end on a sweeter note, you must order their Bruleed Banana Split, which is good to share as it comes with a whole banana cut in half and two scoops of ice cream. What makes this dessert special is they coat the banana with sugar and then torch it. I haven’t seen bananas made this way before! 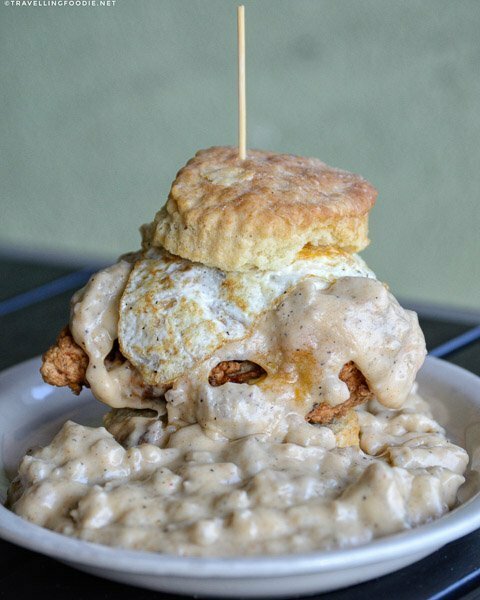 Bringing comfort food with a modern twist, Maple Street Biscuit Company is a popular spot for breakfasts. I went close to 8:30am on Wednesday and they were pretty full except for some tables outside. Though multiple locations have opened since then, the San Marco Square location is the first one, opened in November 2012 by founders Scott Moore and Gus Evans. The restaurant is counter service where you order and get your food at the counter. They make this process fun by having a Question of the Day, which you can find on the chalkboard outside. When you place your order, the staff will ask you the question, and your answer is what will be shouted out to announce that your order is ready for pick-up. As the name shows, Maple Street Biscuits specializes in these delicious flaky biscuits, which is a popular staple in Southern cuisine. But aside from biscuits and biscuit sandwiches, they also have some interesting Entrees With A Twist like the BAM! which is house-made vanilla bean waffle with asiago and pecanwood smoked bacon inside the batter. 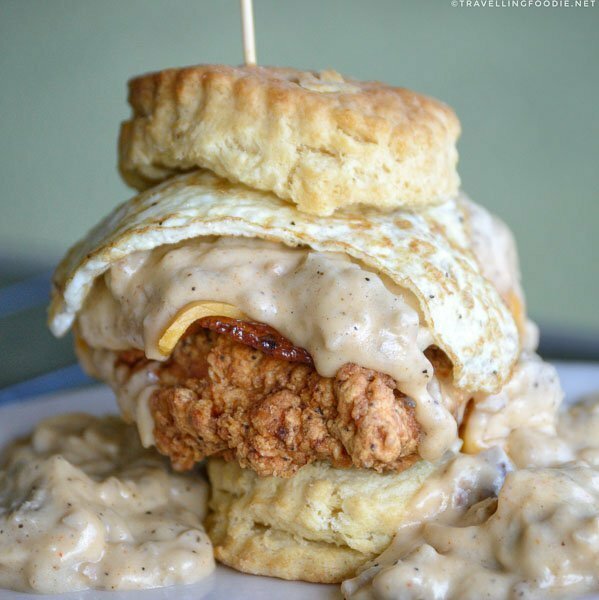 The first time I’ve had biscuit sandwiches was at Pine State Biscuits in Portland, Oregon. I found I enjoyed the one in Maple Street Biscuits so much more with the biscuits being flaky, soft and buttery, and the fried chicken being juicier and more tender even for chicken breast. I also liked the sausage gravy that comes with it. The Five and Dime ($8) – Flaky biscuit, all natural fried chicken breast, pecanwood smoked bacon, cheddar cheese topped with sausage gravy with a kick and fried egg. Located in San Marco but outside San Marco Square, Metro Diner is considered not just one of the best breakfast spots, but also one of the best restaurants in Jacksonville. Though Metro Diner has grown to over 50 locations across the country, the San Marco location is the original Metro Diner serving for nearly 25 years since 1992. I visited on a Friday morning, and it was pretty full including the outdoor patio seating. I can see why it’s so popular and one of the best: the quality and portions are really good especially for the price. I ordered the Fish & Chips for $10.49, and it came with four pieces of fish when it would typically just be one or two pieces for that price. To top it off, the fried fish had a light crispy breading with fresh tasting fish. When I saw homemade chips, I knew I wanted to try it. I’m so glad I changed the fries for it because they were nicely salted and highly addicting. I found it was also better since fries tend to be quite heavy and starchy. I really recommend getting this instead since it’s also not common to find homemade chips in restaurants. 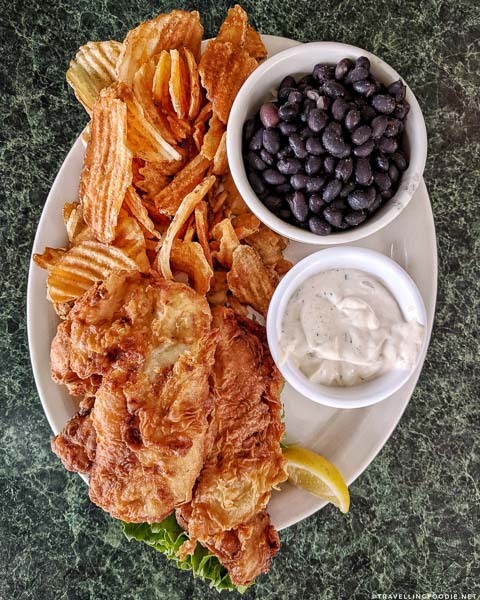 Fish & Chips Plate ($10.49) – breaded mild white filets lightly fried with black beans & rice, homemade chips and tartar sauce. Note, I replaced the french fries and coleslaw. Located in Jacksonville Beach, Gilbert’s Hot Chicken, Fish and Shrimp offers Southern meal focused on fried chicken, fish and shrimps. 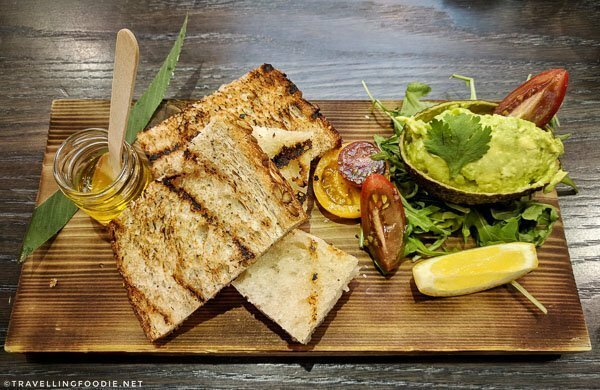 The restaurant is owned by Food Network regular and Top Chef alumni Chef Kenny Gilbert who also owns other popular Jacksonville restaurants like Gilbert’s Underground Kitchen, Gilbert’s Social, and Gilbert’s Southern Kitchen and Bar, which is located on the same site. Did you know? Some of the dishes here make appearances on the menus at the other restaurants. For this restaurant, Gilbert’s signature Southern fried proteins are marinated in buttermilk, egg and a secret blend of spices, then dredged and fried until golden brown. One thing I love about travelling is finding those unique culinary creations that you haven’t tried before. Just when I thought nothing special could be done anymore for fried chicken, Chef Gilbert just blew my mind with his hot chicken. 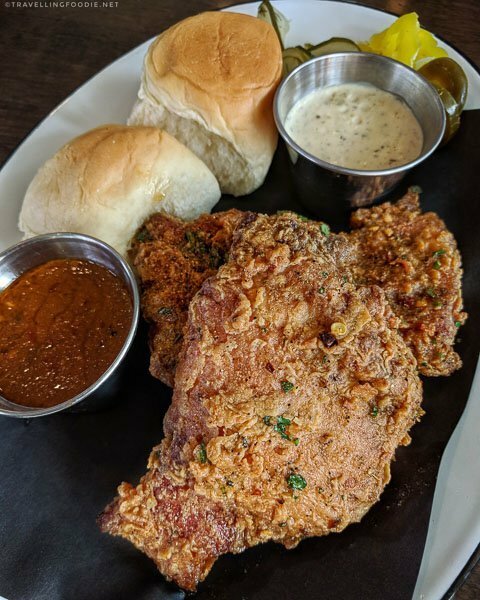 What makes the fried chicken so unique is that it is both smoked and fried. This is serious business. The outside was perfectly fried batter with Southern flavours, and when you bite into it you get a moist, juicy, tender chicken with a strong smoked taste! It’s the most flavourful fried chicken I’ve ever had. Why is there Hot in the name? If you wanted your chicken hot, your dish will be topped with their signature Fernandina Beach Hot Sauce, pickled hot peppers and a side of datil pepper remoulade. For my “side”, I got the Fried Chicken Skin because you don’t see this quite often in menus. Since the restaurant specializes in fried chicken, I thought I should try this as well. I actually really loved how they did the chicken skin. The batter is a bit different from the Smoked + Fried Chicken so it doesn’t feel repetitive. Travelling Foodie Tip: Though not indicated in the menu, this item is not chicken skin only. There’s actually quite a bit of chicken meat as well, sort of like popcorn chicken with skin on them. It might be a lot of chicken meat if you order this plus a separate chicken thigh dish for yourself, which is what happened to me. This came with the Fernandina Beach Hot Sauce, but I actually didn’t find it as hot as my expectations. Maybe it would be a different experience if I asked my dish to be made “Hot” instead of trying it on the side. For everything healthy, Native Sun’s for you! This locally owned health food store offers all organic food and natural products focused on sourcing locally within 100 miles of their stores, or at least regionally in South Eastern USA. Did you know? Founders Aaron Gottlieb and wife Erica opened Native Sun in 1997 after getting motivated by the power of proper diet and healthy food choices. I was very impressed with their tagging system that easily makes products identifiable to people with special diets and needs: local, dairy-free, gluten-free, nut-free, vegan, non-GMO verified, and more. 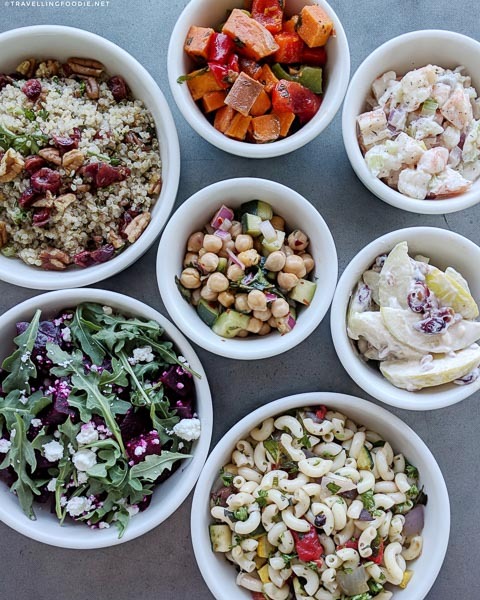 For dining, the Jacksonville Beach location has a hot bar with daily specials, and deli serving all-nature meat, seafood and 100% organic salads and sides with lots of gluten-free, vegetarian & vegan food options. Table seating indoor and outside on the patio is available so you can order your food or drink, and enjoy them there! 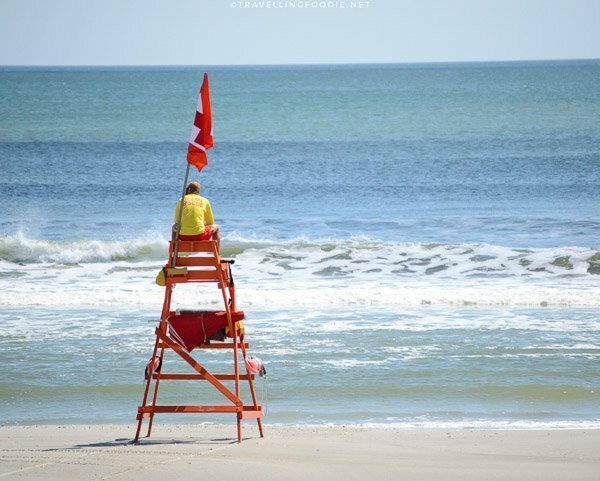 Better yet, bring them to Jacksonville Beach which is about a 5-minute walk! The deli menu changes frequently, and Executive Chef Eric Haney ensures the recipes reflect what’s good for the season. 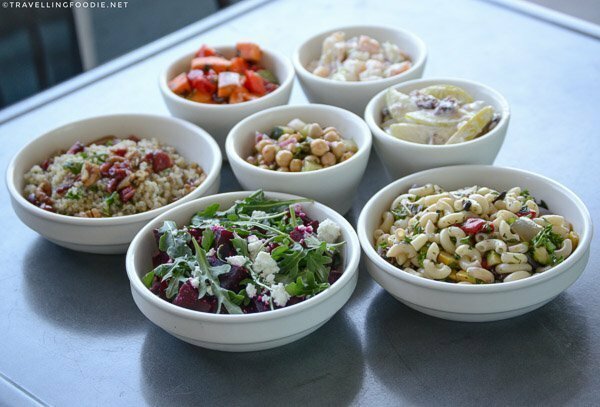 I got to sample some of their sides, and I actually enjoyed them especially the Mayport Shrimp Salad, Roasted Beets with Arugula and Feta, Citrus Quinoa with Cranberries and Pecans, and Chickpea and Cucumber Salad. I found Chef Haney has done a great job combining ingredients that work together so well. For example, the tanginess of the feta helped reduce the bitterness of the arugula, and roasting the beets helped reduce its earthy taste. Then combining all three tastes give you a totally different flavour profile. They also have a juice and smoothie bar which uses 100% organic fresh fruits and veggies. There’s also a + Bar area that serves organic wine, beer, kombucha, and a selection of bar bites and acai bowls. I highly recommend you to get the Young Thai Coconut Smoothie. 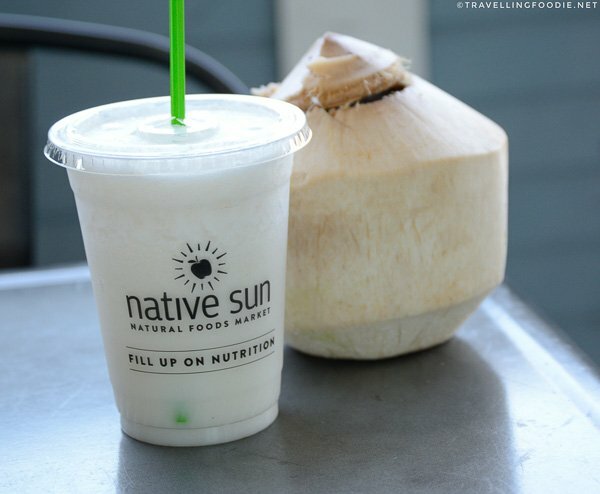 They use real Thai coconut and the resulting smoothie really takes you back to what you can get in Asia. Hope this gives you an idea on where to eat in Jax! If you’ve already been (or are living there), what do you find are the best restaurants in Jacksonville, Florida? Let me know below so I can check them out on my next visit! 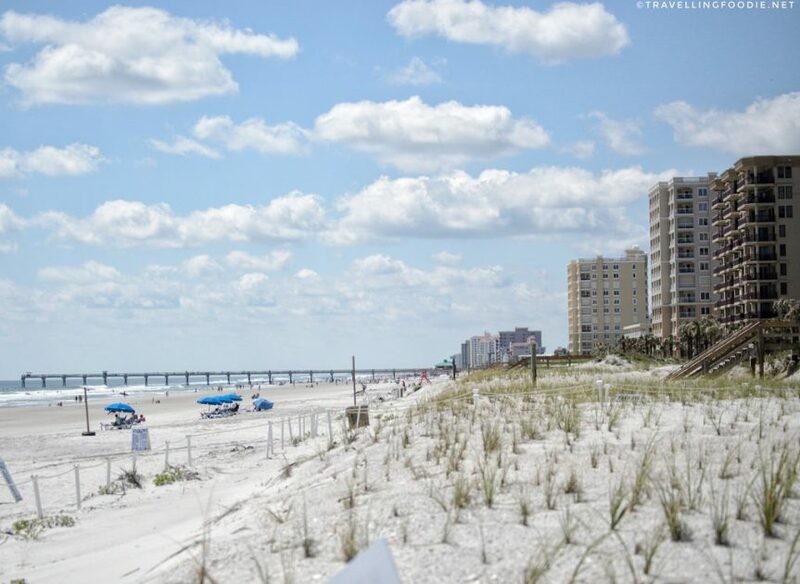 Huge thanks to Visit Jacksonville for sponsoring this post. As usual, reviews and opinions are entirely my own. You can learn more about Visit Jacksonville thru their website, or find them in Facebook, Twitter and Instagram.